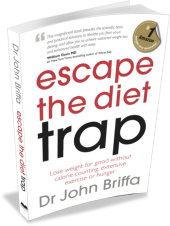 By Dr John Briffa on 1 November 2013 in Cholesterol and Statins, Healthy Eating, Unhealthy Eating! 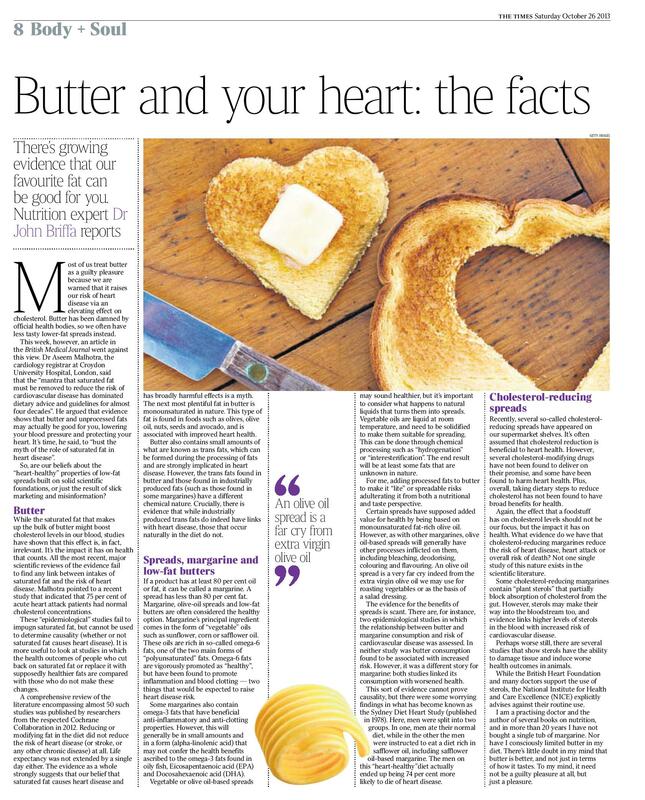 Last Saturday, The Times newspaper here in the UK carried a piece I wrote about the relative merits of butter, margarine and cholesterol-reducing spreads. I think it’s great we have got to the point where a major, ‘serious’ newspaper is commissioning and publishing pieces that challenge nutritional orthodoxy and do not swallow food industry misinformation whole without thinking. While the saturated fat that makes up the bulk of butter might boost cholesterol levels in our blood, any effect here is actually irrelevant: it’s the impact it has on health that counts. All the most recent, major scientific reviews of the evidence simply fail to find any link between intakes of saturated fat and risk of heart disease. These ‘epidemiological’ studies fail to impugn saturated fat, but cannot be used to determine ‘causality’ (whether or not saturated fat causes heart disease). More enlightening are studies in which the health outcomes of individuals who cut back on saturated fat or replace it with supposedly healthier fats are compared with those who do not make these changes. A comprehensive review of the literature encompassing almost 50 such studies was published by researchers from the respected Cochrane Collaboration in 2012. Reducing and/or modifying fat in the diet did not reduce the risk of heart disease (or stroke, or any other chronic disease) at all. Life expectancy was not extended by a single day either. The evidence as a whole strongly suggests that our belief that saturated fat causes heart disease and has broadly harmful effects on health is a myth. The next most plentiful fat in butter is monounsaturated in nature. This type of fat is found in foods such as olives, olive oil, nuts, seeds and avocado, and is associated with improved heart health. Butter also contains small amounts of what are known as ‘trans fats’. Trans fats can be formed during the processing of fats, and are said to cause heart disease. However, the trans fats found in butter have a different chemical nature to those found in industrially-produced fats (such as those found in some margarines). Crucially, there is evidence that while industrially-produced trans fats do indeed have links with heart disease, those that occur naturally in the diet do not. Margarine’s principal ingredient comes in the form of ‘vegetable’ oils such as sunflower, corn or safflower oil. These oils are rich in so-called omega-6 fats – one of the two main forms of ‘polyunsaturated’ fats. Omega-6 fats are vigorously promoted as ‘healthy’, but in general terms promote inflammation and blood clotting – two things that would be expected to raise heart disease risk. In recent years, many researchers have raised concerns about the considerable glut of this type of fat in the diet, including from processed foods. Some margarines also contain omega-3 fats (the other major type of polyunsaturated fats) that have generally beneficial anti-inflammatory and anti-clotting properties. However, this will generally be in small amounts and in a form (alpha linolenic acid) that may not confer the health benefits ascribed to the omega-3 fats found in oily fish (EPA and DHA). Vegetable oils are liquid at room temperature, and need to be solidified to make them suitable for spreading. This can be done through chemical processing such as ‘hydrogenation’ or ‘interesterification’. The end result will be at least some fats that are unknown in nature – a quality that is likely to bring with it some none-too-healthy properties. For me, adding processed fats to butter to make them ‘lite’ or spreadable simply risks adulterating it from both a nutritional and taste perspective. Certain spreads have supposed added value for health by being based on monounsaturated fat-rich olive oil. However, liquid olive oil requires solidification through processing, and this likely detracts from any healthy properties it may have and, again, stands to impart some unhealthy characteristics too. Plus, like other margarines, olive oil-based spreads will generally have other processes inflicted on it including bleaching, deodorising, colouring and flavouring. An olive oil spread is a very far cry indeed from the extra virgin olive oil we may use for roasting vegetables or as the basis for a salad dressing. Whatever the base ingredients in margarine, the end product is always a highly processed and chemicalised foodstuff – in stark contrast to the relatively natural nature of butter (made by the churning or milk or cream). Bearing in mind the fact that margarine is so often assumed to be the hands-down winner in the battle with butter, you might expect there to be plenty of evidence for its superior health effects. Actually, the evidence in the area is scant, and what exists should give us cause for concern, I think. There are, for instance, two epidemiological studies in which the relationship between butter and margarine consumption and risk of cardiovascular disease was assessed. In neither study was butter consumption found to be associated with increased risk. However, it was a different story for margarine: both studies linked its consumption with worsened health outcomes. Again, this sort of evidence cannot prove causality. However, even more concerning are the findings of what is known as the Sydney Diet Heart Study. Here, men were split into two groups. In one, men ate their normal diet, while in the other the men were instructed to eat a diet rich in safflower oil, including safflower oil-based margarine. The men on this ‘heart-healthy’ diet actually ended up being 74 per cent more likely to die of heart disease. I am a practising doctor and the author of several books on nutrition, and in over 20 years I have not bought a single tub of margarine, nor have consciouslylimited butter in my diet. There’s little doubt in my mind that butter is better, and not just in terms of how it tastes. To my mind, butter need not be a guilty pleasure at all, but just a pleasure. How well does the evidence used to support the use of margarine stand up? Surely what you put the butter on matters as much, if not more than the butter? Bread, toast, potato? You’re having a laugh! Thanks – I feel we’ve reached a bit of a tipping point on these issues, at last. I wasn’t advocating these bread and potatoes, just referencing the vehicles many use to consume butter (obviously). I’m glad that this has made it into a major newspaper. It’s a scandal that people have been convinced that margarine is healthy. Ancel Keys has a lot to answer for; if only people had listed to John Yudkin instead. People are eating horrid fake butter thinking it’s good for them when it’s actually killing them. Hurray for Dr B! I have never believed all the cholesterol carp and wouldn’t touch margarine at any price. Disgusting stuff and tastes nothing like butter anyway. butter – yes – toast – no thanks, I’ll pass – I prefer to put butter in my coffee these days!!! Is the method by which they make butter ‘spreadable ‘ detrimental in any way? I try to avoid it favour of the loveliest best butter but the convenience is undeniable. I would like to think we have reached a ‘tipping point’ too. However, only this morning (Nov 1st 2013) on the BBC Breakfast TV show, yet again there was a nutritionist espousing the dangers of fat. She was advising we should eat non fattening porridge, with skimmed milk of course, to lower the damaging fat intake! I hesitate to question call this woman’s integrity, as she obviously has qualifications. Unfortunately these qualifications were doubtless obtained from examinations based on out of date, conventional nutritional wisdom; which she would hardly question. One question I would like to put to her is: ‘Why, after thirty or forty years of this sage advice, is obesity still on the increase? Surely not all obese people are eating ‘unhealthily’, and failing to exercise. When will these so-called ‘experts’ begin to read another point of view, accept the obvious, and realise the mistakes they are making? I have an incredibly fit and healthy low-carb friend who slices butter and sandwiches it around peanut butter. I’ve never gone that far yet, I’ll admit, but am loving butter on my veggies. Great post. 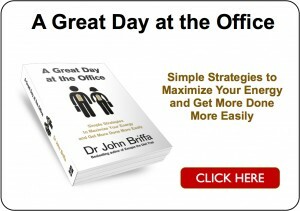 Thank you so much, Dr. Briffa, for this and all your other brilliant and informative posts. Frankly the SMELL of so-called ‘healthy’ spreads make one sick. I wouldn’t deign to put it in my pantry let alone my mouth. Lots of articles about fat which is good, but people will be spreading it on white bread with jam and think that’s okay. They will blame you when they are still as overweight as ever. Lovely concise overview / compare & contrast suitable for passing on to friends / clients. Thanks. I make my own butter from raw Jersey cream. Yummy! 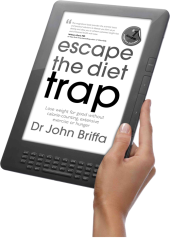 Very good article Dr Briffa. Having survived ww2 on a diet of Jersey milk and home made butter I am now 80 and still going well on lots of butter! Re peanut butter, this may be none too healthy despite the fats in it looking reasonable. See perfecthealthdiet.com. There was a discussion in September I think. Peanuts have been found to be atherogenic in animals. You can leave your butter out of the fridge, as long as it’s covered and not so warm in the room that the butter starts to melt. It won’t spoil if it’s used within a few days and of course it will spread just fine. You can even use a ceramic French butter keeper which is made for that purpose. I like to whiz up softened butter and olive oil (half and half). It spreads straight from the fridge and has a great flavour. lovely piece. as I said a while back, “it begins with butter”. If butter can be rehabilitated, anything is possible. We are living in interesting times. In a good way. Thankyou. Re: peanut butter, interesting article in today’s paper stating that GMO crops are friendlier to aflatoxin fungi, increased levels are being found. Excellent! Got rid of that disgusting Flora Proactive margarine a year ago after i did extensive research into true nutrition. My child has type 1 diabetes and his blood work is perfect, better than most non diabetics. He eats butter but very little carbs and NO grains. My whole family eats the same. Just eating as close as possible to paleolithic humans. Australian government eating guidelines are completely WRONG as are recommenations from Diabetes Australia and Heart Foundation. I use margarine rather than butter because I’m pretty sure that the average dairy cow would strongly prefer not to be separated unceremoniously from her unweaned calf, with the milk intended for it being diverted to produce an entirely unnecessary food product for me. Parent-offspring bonding is visceral, not rational, and I don’t believe that this separation is not distressing. Surely the ethics of dairy industry practices are a more worthy subject for societal examination and debate than whether butter or margarine is more ‘healthy’. @Bridget: well, that’s very decent of you. Worthy, not worthy – why do we have to ditch the one discussion simply because, in your view, the other is more worthy? Why can’t we have the two side by side? And by the way, wouldn’t you like to know if the margarine you opt for is a slow killer, so you can ditch that in favour of olive oil to dunk your bread in? What about the ethics of margarine production – dig into those and you might find that an argument against margarine has value. One thing I have noticed that the majority of health experts, nutritionists and obesity experts are if not overweight, obese! Hopefully, the myth that butter is unhealthy is starting to be unpicked. The next myth to destroy might be the fact that butter should be kept in the fridge. Ever since it was pointed out to me that there simply was no need (assuming a relatively healthy consumption / throughtput of the stuff), it won’t go rancid, due to its lovely saturated nature, and the proof that it won’t kill you if you don’t refrigerate it, is that I am typing this out today. This also means there is more room in the fridge for other important macro nutrients …… like Champagne…. Bridget is right, ethics and animal welfare are important issues. I wouldn’t permit my morals to command me to eat something that is evidently toxic, though. The manufacturers of margarine have encouraged people to believe their products are healthy and make for a healthy, or ‘healthier’ choice or alternative to butter, and in fact the hard evidence is that margarine does not warrant the claims that associate with its marketing. It is easy to over-consume polyunsaturated fats, especially those that are plentiful in vegetable oils and margarines, and particularly those types that get referred to as ‘omega-6′. Nobody should assess the risks and make a choice without access to facts. Chapter Five of ‘Trick and Treat’ (Barry Groves) is worth a half-hour of anybodys’ time. Here’s a short quote from ‘Fats: from tonic to toxic’. I agree that the welfare of the animals is also very important. The best butter to buy is made from cows that are allowed to freely graze on grass. Better welfare for animals is better for them and also provides healthier and more nutritious food for us. We need to get back to eating real food and using sustainable and humane farming methods instead of eating industrialised, pesticide filled, chemically processed fake foods. We also need to realise that food, nutrition and health are inextricably linked and should be the cornerstone of good medical practice. THANK YOU THANK YOU! I am earning my nutrition certification right now and was downright FLOORED when I read that they advocate eating margarine over butter. I just about threw the book out of the window and asked for a refund! Ha! Dr Briffa, what kind of biomarker data would satisfy you if not cholesterol? Apo-B, total cholesterol/HDL or any inflammation marker? Butter is shown to be inferior to margarine in all of these. None of these really satisfy me, actually. What I’m most interested in is health and clinical outcomes. In this light, the Sydney diet study results are a concern. You will know (or should know) that the Lyon Study you mention used a variety of dietary modifications (so cannot really be used to make a comment on diets enriched with margarine, right?). Regarding the Hooper study, you appear to have missed some critical facts regarding its findings relating to CV morbidity. Did you actually read the paper in its entirety, or just the abstract? I agree that data from Sydney study is of concern, even if data on CV morbidity is not presented in the paper (only deaths reported). However, LA Veterans study reached opposite outcomes; cardiac mortality was reduced by PUFA oil based diet. I’ve read Hooper’meta-analysis many times and written about it in Finnish http://www.pronutritionist.net/ravitsemusterapeutti-hooperin-meta-analyysi-rasvoista/ (try your luck with Google translator). Just wanted to point out that Hooper did find some benefits of favoring unsaturated fat, and found no harm. All other successful hard outcome studies have been multifactorial dietary interventions having reduction of saturated fat and red meat as one key objective (Oslo Diet Heart, Lyon Diet Heart, Predimed). LA Veterans study did not show reduced overall mortality, and by the end of the study non-cardiovascular mortality appeared to be ‘taking off’. A bit worrying. In other words, when the differences in intervention were confined to differences in fat consumption, there were no benefits from reducing or modifying fat intake. What do you make of this? Big letdown after all my life thinking margarine was more healthful. Finland, the home of Benecol and Flora margarine lol. Appropos nothing, I have been reading about bullet proof coffee. Apparently afficionados are adding butter and coconut oil to coffee and blending it to make a very novel, latte type, hunger beating coffee I have tried it of course, mmmmm. I despair of nutritionists that are still pumping out misinformation about diet. Whilst I appreciate they are regurgitating what they have been taught, do none of them ever consider doing even a little research or of updating their information? What do they think when they read articles in the media rubbishing the very advice they are giving? They seem to fall into the same rut as many in the medical profession – this is what we learned at med. school so this is what we tell our patients. Google is educating me with the help of the more enlightened medics like Dr. Briffa, shouldn’t GPs and dietitians also be out there updating their knowledge base? 1) To be fair if you are going to attribute the decrease in atherosclerotic events to the polyunsaturated oil then you should attribute the increase in non-cardiac deaths to the oil. 3) The control group was more deficient in Vitamin E (for whatever reason) and may have eaten more trans fat as believed and estimated by Ramsden. Furthermore, the smoking status of 99 individuals were unknown. All of these factors either individually or in combination could have played a part. 4) There was some turnover of the participants. When these movements are taken into account the meal adherences were poor — 49% in the experimental and 56% in the control. 5) Interestingly, when people try to defend polyunsaturated fats they defer to the “refined oil” claim. To be fair they should also ask about the quality of the saturated fats used in these trials. Because they are multifactorial it is nonsense to attribute the benefits to specific foods. Actually, if you look at most of the dietary trials (not just cherry picked ones) the factors that are associated with beneficial outcomes are n-3 fatty acids and/or increases in fruit and vegetable intake. To come to the conclusion that you do you would have to ignore the numerous trials in which saturated fat was either reduced or replaced with polyunsaturated fats and completely failed. do none of them ever consider doing even a little research or of updating their information? Well, in Reijo’s case, he just seems to have gone away and is ignoring my question which exposes his misrepresentation of the evidence. We should perhaps not be too surprised. He is a dietician, and while there must be some very good ones out there, my general experience is that attempting to engage them in meaningful debate is often akin to sending binary code into outer space in the (vain) hope of getting a return message from an alien lifeform. I’m back John, just cannot use all my time in social media. But why do you need to be so rude? Do you feel superior to dieticians? Be my guest to mock me, my English, my home country or my profession if it makes you feel better and empowered, anyone above. I agree with many points you present John but you also seem to dismiss purposefully some essential information in order to sell your story. If that was not the case, you had brought up LA Veterans in your “settling once and for all” piece. You are right about the pure 100 % fat replacement studies. If you consider pure fat replacement studies only, LA Veterans and Finnish Mental Hospital studies are the only studies where either CVD mortality or CVD morbidity has been reduced by diets rich in unsaturated fat. FMHS was not truly randomized study, though. On the opposite side, there is just Sydney Diet Heart. Before anyone mentions, results of Rose Corn Oil Study were not significant. As I already wrote, all the other successful dietary hard outcome interventions (more or less Med Diet interventions) have contained saturated fat reduction as one part of the multifactorial treatment along with increasing share of whole grains, fish, vegetables and fruit in the cost of saturated fat, refined grains, red and processed meat. Not a point for butter or saturated fat per se, in any case. Also, you cannot find hard endpoint trials where amount of butter in diet had been increased from the baseline and mortality/morbidity reduced significantly. Actually, our views are not very broad apart. I also think that the scientific evidence linking saturated fat to cardiovascular diseases is weaker than for example myself had thought before engaging to the subject. Nevertheless, claiming butter healthier than margarine hinges on one single hard end point trial: Sydney Diet Heart. Therefore claiming butter healthy is a distorted claim. That’s a bit disingenuous of you, don’t you think? You and I both know you have failed to respond to two emails I have sent you. You misrepresent the science on my website, then fail to answer my questions, and then go off to twitter to badmouth me. And then you complain I’ve been a rude? Really?! Do I feel superior to dieticians? Not especially, but I certainly don’t mind calling out the ones who appear to be unable or unwilling to report the science accurately and/or fail to admit and correct their errors when pointed out to them. And what’s this rubbish about people mocking your country or your English. Where have I done that? Please stop making things up (I suggest). Did you read ZM’s post above (seems not). There are other methodological issues with this study which I plan to expand on in a future post. But for now – you state in a previous post that LA Veterans study showed a reduction in the cardiac mortality (in the experimental group). Please provide the data from the study that shows this and the p value for this outcome. Also, what do you think, Reijo, about the fact that overall mortality was not improved, but that the experimental group saw a significant increase in mortality (mainly due to cancer) near the end of the study. Are you a practitioner, and even if you are not, does this finding concern you at all from a clinical perspective? Are you happy to recommend a dietary approach that appears to improve cardiovascular outcomes while giving people cancer? Oh, and was margarine used to enrich the diets of those in the experimental group, do you know? Because this is what would make it relevant to my piece in the Times. Delighted that you can finally see that, but you have still failed to answer my question about the Hooper study, which you are now studiously (it seems) ignoring. Do you still think your interpretation of this study was correct, and do you still hold it up as evidence of the benefits of far reduction and/or modification? The FMHS was an appalling mess of a study from a methodological standpoint as you should know. I am amazed that you see fit to even mention it. I hope you’re not using it to support your case. Are you? We’ve been through this, Reijo (see above). Health and clinical endpoints are what we should concern ourselves with when there is the available evidence (which there is). The piece challenges the perception and belief that margarine is healthier than butter. There is no evidence for this, as I explain. In fact there is evidence that points in the opposite direction. If you believe I’m wrong, then it is incumbent on you to produce the evidence of clinical benefit from margarine (compared to butter). Put up or shut up (no offence intended). 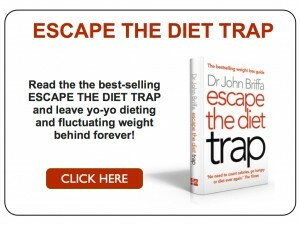 Indeed Dr. Briffa. Surely Reijo had to have read Hooper’s and Ramsden’s reasons for excluding the Finnish Mental Hospital from their analyses. It was a methodological disaster. So you are quick to point out that the RCOS was not significant but then cited a non-significant finding from the LA Veterans Study and claimed that PUFA reduced cardiac mortality? Do you alone get to cite non-significant findings when it suits your bias? In the RCOS the intervention groups were also told to reduce fried foods, pastries, ice-cream and cakes. So if anything, the intervention groups had an advantage yet still the corn oil group experienced no hint of benefit and the results even trended in the opposite direction of what you would expect if these PUFA oils were “healthy”. Also, what’s up with your constant citing of multi-interventional studies to support saturated fat reduction? Where on earth is the evidence that saturated fat reduction is beneficial? Where on earth is the evidence that whole grains are beneficial? Given that saturated fat reduction and increases in whole grains have never been found to be beneficial it is illogical to claim that the Med Diet pattern is beneficial because of such factors. Saturated fat has been blamed for making just about every surrogate marker worse, yet when really put to the test in long term trials these so called “harmful” effects are missing in action. Surely you must know that changes in surrogate risk markers do not necessarily translate into disease risk reduction and the saturated fat trials themselves illustrate this. You seem to have it backwards — short term surrogate trials do not prove anything. Rather, the long term trials on saturated fat have disproved the surrogate trials numerous times making them meaningless. Therefore to cite short term trials on surrogate markers is simply an act of desperation on your part. John, that e-mail is not my primary e-mail, so I had not seen your e-mails you had sent me yesterday. Cancer argument of your is weak. As you know, there was no statistically significant differences in cancers in Hooper’s meta-analysis of RCTs. Was there a significant difference in cancer mortality or incidence in LA Veterans, as you brought it up? Also, meta-analyses of cohorts show no increased cancer risk when reducing the share of saturated fat. See for example World Cancer Research Fund meta-analysis (2007,p. 135 onwards) or Zock and Katan meta-analysis 1998. Of course there are methodological issues with LA Veterans. Don’t you think there were any with Sydney Diet heart trial? Why not to mention the weaknesses of both? My interpretation on fat modification trials is that soy, sunflower, safflower and corn oil have not reduced cardiac mortality at meta-analysis level. In LA Veterans study, PUFA oils reduced cardiovascular mortality (Hooper: RR 0,70, CI:0,51-0,96). PUFA oils may reduce cardiovascular events, at least if oils or diets per se contain enough omega-3 fatty acids. Chris Ramsden’s suggested something like that in his BMJ meta-analysis (2013). I think it’s also important to state that canola oil was not used in any of the fat modification trials. It’s currently the basis of many margarine brands, at least in Finland. And only Rose Corn Oil, I think, used olive oil. Other studies used oils very rich in linoleic acid. The amount of linoleic acid was 11-16 % of energy in these trials according to Chris Ramsden while currently intake of linoleic acid in Finland and most European countries is between 4-10 % of energy. In addition, modern margarines do not contain significant amount of trans fat, at least those marketed in Finland. Using solely early RCTs and neglecting biomarker data is not very good strategy when trying to translate the results of old modification trials from in to the current world. I think we have reason enough to argument that current margarines (allmost devoid of trans fat) are healthier choices than butter for the most. That being said, I think there are many other dietary elements that are at least equally or even more important. Have you read ZM’s posts? You should, as they raise important issues about the quality (or rather lack of it) and relevance of the research you cite. Please do respond to him when you have time. The reason that I raised the cancer issue is because you appear to be clinging to the LA Veterans study like some sort of lifeline, and when you read the study (you have read it, haven’t you?) the cancer data smacks you in the face. I wouldn’t be making such an issue of it, Reijo, if it didn’t seem you are so happy to ignore these important findings and only trumpet the ‘positive’ findings from the study. We can’t have one without the other, Reijo, otherwise it’s called ‘selective reporting’ or ‘bias’. You have also failed to provide the data from the study that supports your assertion that it showed a reduction in cardiac mortality. Please provide that data now and the relevant p value. If you can’t do that or don’t want to (for some reason), just say. Also, you have failed (several times now) to address the issue of the Hooper review. You quoted this in support of your stance but, as I pointed out, this review does not do that at all. Will you accept that now, and are you going to adjust your interpretation of that review here and elsewhere? Please do respond directly to this question. You’re a bit stuck on biomarkers, Reijo. Here’s a thought experiment for you: if arsenic and cyanide improved biomarkers, would you be recommending that people consume these in their diet? As ZM and I have pointed out to you, clinical data trumps biomarker data and the fact that you resist this suggests you either are biased or have a very tenuous understanding of the relevance and power of different types of research (or both). You can ‘think’ that Reijo – the problem is, you haven’t been able to properly support your belief with actual evidence. Do you also ‘think’ that fairies exist? John, you’re right in that cardiac mortality did not reduce in LA Veterans significantly. Cardiovascular mortality did. there are actually 3 such trials that I am aware of the tested the hypothesis that smoking cessation would lower the risk of lung cancer mortality. All 3 trials failed to produce statistically significant findings despite reporting significant reductions in smoking prevalence in the group that received counselling on smoking cessation. These trials include the Whitehall Study, the Lung Health Study, and MRFIT, which included in total over 20,000 participants and up to 20 years of follow-up. This makes these trials considerably larger in both in terms of participant size and length of follow-up than the trials that focused on replacing primarily saturated fats with polyunsaturated fats. The largest of these 3 trials found that the number of lung cancer deaths were actually 15% greater, albeit not statistically significant in the group that received counselling on smoking cessation. The relative failure of these smoking cessations trials can be considered a very good example of why all forms of evidence need to be considered when evaluating a hypothesis, not just a few data points from a few randomized controlled trials. The lack of statistically significant favourable findings in the group that received counselling on smoking cessation has been explained by a lack of follow-up time sufficient to achieve the maximum benefits of smoking cessation (which is believed to be more than 2 decades), lack of participant size, a smaller than anticipated number of participants in the group that received counselling that quit smoking, and a greater than anticipated number in the group that did not receive counselling that quit smoking. These limitations are very similar to those that plague the trails that attempted to test the diet-heart hypothesis. When Siri-Tarino et al. considered 7 of the 11 studies included in their original meta-analysis paper that addressed the association between saturated fat and fatal coronary heart disease they found an 18% excess risk that almost reached statistical significance (0.99-1.42). When Stamler considered all 11 studies he found a 32% excess risk despite over-adjustments for serum lipids and a number of other problems addressed in his editorial that would expected to have significantly weakened this finding (regression dilution bias). The authors of the original Siri-Tarino et al. meta-anlaysis that the low-carbers love to cite actually acknowledged Stamler’s concern about a positive association between saturated fat and fatal heart disease, but instead of using all 11 studies that concerned fatal heart disease from their original meta-analysis as Stamler did in his analysis, they performed their analysis with only 7. Their pooled RR estimate was 1.18 (95% CI, 0.99–1.42). Had they included the additional 4 studies in their analysis perhaps their estimate would have shown an even stronger relationship. The RR of 1.32 (Stamler 2010) is actually slightly stronger than that of meta-analyses of the association between passive (second hand) smoking and lung cancer which have produced an RR of around 1.27. Here is a list of estimates from some of the cohort studies that found a stronger positive association between saturated fat and fatal coronary heart disease. Note that in these studies saturated fat is primarily compared to all other sources of calories which is predominantly refined carbohydrates and refined oils. 1) Thousands of animal studies showing that saturated fat and dietary cholesterol accelerates atherosclerosis across virtually every type of vertebrate, and that they are the sine qua nons for the dietary modification of experimental atherosclerosis. This includes mammalian, avian and fish species- herbivores, omnivores and carnivores, and over one dozen different species of nonhuman primates. Again this cannot be attributed to the way that the animal was raised as when taking into consideration the amount of antioxidants and carotenoids as well as the lack of cholesterol, tropical plant fats high in lauric, myristic and palmitic acids will also accelerate atherosclerosis in animals to a similar degree as saturated animal fats. 2) Hundreds of rigorously controlled metabolic ward studies establishing that dietary cholesterol and saturated fat elevate LDL and total cholesterol. The cholesterol raising effects of saturated fat is not the result of how the animal was raised as tropical plant fats high in lauric, myristic and palmitic acids will also raise total and LDL cholesterol. 3) Meta-analysis of 108 randomized controlled trials with 300,000 subjects and with a mean follow-up of only three years establishing that lowering LDL significantly reduces both coronary heart disease and all-cause mortality independent of changes to HDL cholesterol and triglycerides, and non-lipid effects of specific interventions. These can be considered the strongest lines of evidence for the diet-heart hypothesis, with other lines of evidence simply adding confidence to the hypothesis. Do you realize that this combined endpoint from LA Veterans was not defined prospectively? The prospectively defined primary endpoint in the LA Veterans was defined as coronary heart disease manifested either as sudden death or as acute myocardial infarction. It was not statistically significant. The endpoint you are referring to was defined after the fact i.e. a retrospective analysis — a point which is lost in the Hooper calculation. I guess you also missed the part in both of his analyses where he says that the increased risks seen in the n-6 pufa trials may have been underestimated and the decreased risks seen in the mixed pufa trials may have been due to displacement of trans fats. You should also take this possibility into consideration. Furthermore, both Oslo and STARS which were included in his analysis were not pure fat replacement studies. What about the quality of saturated fats used in these trials? Why are you not also asking this question? No, using surrogate maker data to make recommendations to the public may actually be unethical. You are essentially repeating the past where it was thought that reducing saturated fat or replacing it would result in reduced risk because of improved surrogate markers. Of course this didn’t happen. The funny thing is they are doing the same thing today by claiming that because these new oils “improve” biomarkers they are considered “healthy” and would reduce risk. Similarly, look at the numerous cholesterol lowering drug trials throughout history (including many recent ones) that have miserably failed even though cholesterol is considered to be the most reliable biomarker. Also, biomarkers are constantly changing — first it was total cholesterol, then LDL and HDL cholesterol and ratios, now the new fad seems to be apo-b/particle number or non-hdl-c.
Whilst I’m not able to participate in the debate over research trials, I can say that I have read many books, articles, blogs and personal accounts regarding the benefit of taking butter and other saturated fats over the rather more questionable benefits of PUFAs. Dr. Weston A. Price came to the conclusion that saturated fats should be eaten after years spent researching in different countries and diverse populations and that was back in the 30s. Anyone else notice that starchy foods require fats, sugars, and/or salt to make them palatable? Hi, it is not straightforward trying to analyse research studies. I am a practising GP and find it difficult with the “statistics” always going back to my statistics books/notes. I have very much left vegetable oil out of my diet for the last 2 years and am on a high fat diet, thanks to Paul and Sou-Ching Jaminet of the Perfect Health Diet and Dr Briffa of course. This particularly affects the omega 3, CLA, vitamin A & K2 content compared to grain or silage fed cows. So many good fats and vitamins your body needs to function. Cows have 4 stomachs for a reason, give them the wrong diet they don’t have the right building blocks to make the right fats. Bad butter is often white and insipid, grass fed butter is yellow (due to high beta carotene) and delicious. Sue, I’ve had a similar insight regarding dieticians. One of my best friends is a registered dietician here in the States. I wouldn’t tell her this, of course, because she’s such a nice person, but I would never refer anybody to her. She herself is the picture of dis-ease, with health conditions such as asthma and allergies, and she complains about how she continues to gain weight post-menopause. It seems that every month she’s in the doctor’s office for some new symptom or other. And from conversations with her, I know that her dietary philosophy comes right out of the mainstream perspective: low-fat and lots of whole grains. Dietician, heal thyself! Actually, Reijo, I didn’t claim you were wrong regarding ‘cardiac mortality’, I just wanted you to produce the data. Anyway, it seems you’ve admitted you were wrong to make a claim regarding ‘cardiac mortality’. If you’ve repeated the claim elsewhere, would this be a good opportunity to publicly state your error and correct it? Now that you have modified your claim to ‘cardiovascular mortality’, would you mind providing the data and the p value for this? Also, Reijo, you have not responded to ZM and neither have you address my queries regarding the Hooper review and your interpretation of it. Please do so when you have a moment. I read your weekly newsletter and was very interested in the “butter” comments, having watched Dr.??? on Breakfast television last week. I have a question to ask about coconut oil. I recently purchased a bottle of the oil, in a solid form to take as a “medicine” as it is possible that I have Parkinson’s disease, I am waiting to see a neurologist. I understand that taking four teaspoonful of the oil a day could supply the necessary chemicals to help reduce the effect of Parkinson’s disease. Do you know if there is any work on this subject one could read? What are your thoughts? We as a couple, do try to follow your low carb diet, and although not shredding pounds our weights are stable. We tend to eat chocolate or other items during the evening and realise we should not. Breaking this habit is very difficult. All the major recent reviews of observational evidence show now relationship between saturated fat and heart disease find no association [1-3]. If no observational relationship exists, then the likelihood is no causal relationship exists either. By the way, you do realise that quoting evidence that is shows no relationship (Siri-Tarino) does not help your argument, don’t you? But of course, we also have plenty of human clinical evidence (the Hooper review cited above) that shows that reduction of saturated fat and/or replacing it with supposedly healthier fat has no benefits for health in terms of heart disease, stroke, diabetes, cancer and overall mortality. Of course one can speculate on why that might be, but it does not change this fact: overall, reducing saturated fat and/or replacing it with other fats has not been found to benefit health. Evidence about Mendelian genetics is, I would say, irrelevant: You appear to be making the assumption that the relationship between cholesterol and heart disease is causal. But even more importantly, it seems you’re somehow assuming that cholesterol reduction is inherently beneficial. As Z.M. alluded to, this is an assumption too far. The evidence on biomarkers is, again, largely irrelevant. First of all, cholesterol (total, LDL) is not a very good predictor of cardiovascular disease, and you might be aware of studies linking higher cholesterol levels with improved health outcomes, especially in the elderly. But, most importantly, where is the evidence that using dietary means to reduce cholesterol by, say, reducing saturated fat and replacing it with ‘vegetable’ oils and/or margarine translates into benefits in terms of hard clinical endpoints such as overall mortality? Do the results of the Sydney Diet Heart Study (discussed here http://www.drbriffa.com/2013/02/06/new-data-from-old-study-reveals-that-reducing-saturated-fat-in-favour-of-vegetable-oils-increases-risk-of-heart-attack-and-can-have-fatal-consequences/ ) concern you at all? Lest we get too drawn away from the issue at hand, can I draw you back to the focus of my piece, which was to question the notion that margarine is inherently healthier than butter? Do you have any direct evidence to dispute this, and show that margarine is indeed healthier? 1. Mente A, et al. A systematic review of the evidence supporting a causal link between dietary factors and coronary heart disease. Archives of Internal Medicine 2009;169(7):659-669. 2. Siri-Tarino PW, et al. Meta-analysis of prospective cohort studies evaluating the association of saturated fat with cardiovascular disease American Journal of Clinical Nutrition 2010;91(3):535-46. 3. Skeaff CM, et al. Dietary fat and coronary heart disease: summary of evidence from prospective and randomised controlled trials. Annals of Nutrition and Metabolism 2009;55:173-201. John, Hooper’s confidence interval 0,51-0,96 (RR 0,70) was apparantly not enough for you. Hooper’s meta-analysis does not give p-value, only confidence intervals. In meta-analyses this is quite normal, isn’t it? Confidence intervals not crossing 0-value are considered significant, like in the case of LA Veterans Study. Let’s see what original LA Veterans paper has to say (Nutr Rev. 1969;27:311-6), the p-value is not given. It reads, “The differences in sudden or myocardial infarction were not by themselves statistically siginificant. But when these were pooled with the incidence of cerebral infarctions and other secondary end point, the totals were 96 in the control group and 66 in the experimental group, and this was statiscally significant. Fatal events that could be attributed to atherosclerosis disease were 70 in the control group and 48 in the experimental group, also statistically significant”. In other words, they do not give p-value but they do say the difference is statiscally significant. Daniel Steinberg (J Lipid Res. 2005;46, p.185) regarding LA Veterans Study: “The number of combined events (definite heart attack,fatal or nonfatal; stroke; or peripheral atherosclerosis requiring amputation) was reduced by 31% in the experimental group (48 versus 70), and that difference was statistically significant by the usual convention (P<0.05)." Steinberg for some reason can give a p-value. So what is your conclusion on this? My conclusion is that, yes, cardiovascular fatalities were reduced. But have you considered the quality of the evidence and put it in the context of the wider research? How about the fact that, at best, half the meals eaten in this study were controlled? Or that data was extracted from participants, even if their participation in the study was very brief? What about the higher smoking rates in the control group? What do you make of the fact that overall mortality was not reduced due to, mainly, an increased risk of cancer? What, also do you think about the fact that this study appeared to have found benefits in terms of CV deaths, but no other study in the Hooper review did, and no overall benefit was found in the meta-analysis? Do you understand what is meant by the term ‘cherry picking’? LDL is a causal agent influencing CHD. We have evidence from hormone therapies, bile-acid sequestrants, diet (Ornish, Pritikin, Morrison, Esselsstyn), 9 different genetic polymorphism, statins, bypass of the intestine and soon from PCSKY9 inhibitors. See the recent interview by Peter Libby from Harvard. Dr. Libby: LDL is a causal risk factor for atherosclerosis. We have genetic evidence. We have epidemiologic, observational, prospective observational data and trial data that really meet the modified Koch’s postulates to identify LDL as a causal risk factor. The statin class of drugs has really transformed cardiovascular medicine and, pretty consistently, is able to, not only achieve substantial reductions in LDL levels, but also a corresponding decrease in events in broad swaths of patients—not in all categories, but most of them. That’s why I think the pendulum has swung a little back toward LDL these days. We ought to not treat RISK PREDICTORS as synonyms with CAUSAL FACTORS. Whether LDL predicts in a given population is irrelevant at this point. No matter what mechanism is used, if LDL goes down, so does CHD rates. The Sydney trial did not report LDL levels. The minuscule decrease in cholesterol next to controls may have reflected trans-fat induced decrease in HDL cholesterol. The margarine used in the 1960s were laden with trans-fats. Pay attention to the very hefty follow-up. Effect of cholesterol on mortality and quality of life up to a 46-year follow-up. “Several lines of evidence suggest that plasma levels of LDL-cholesterol in the range of 25-60 mg/dl (total plasma cholesterol of 110 to 150 mg/dl) might indeed be physiologic for human beings. First, in other mammalian species that do not develop atherosclerosis, the plasma LDL-cholesterol level is generally less than 80 mg/dl. In these animals the affinity of the LDL receptor for their own LDL is roughly the same as the affinity of the human LDL receptor for human LDL, implying that these species are designed by evolution to have similar plasma LDL levels. Second, the LDL level in newborn humans is approximately 30 mg/dl, well within the range that seems to be appropriate for receptor binding. Third, when humans are raised on a low fat diet, the plasma LDL-cholesterol tends to stay in the range of 50 to 80 mg/dl. It only reaches levels above 100 mg/dl in individuals who consume a diet rich in saturated animal fats and cholesterol that is customarily ingested in Western societies”. This is all starting to read like arguments between two religions with no possibility of consensus between confrontational and opposing points of view, and, in addition, written in a language which is pretty well incomprehensible to those of us who are not medicine/ science trained. People! Stop reading and just eat your butter but find something other than toast to spread it on. Actually, cutting back HARD on carbs by default means you cut back on butter, cream and the like anyway. A very entertaining thread though – butter knives at dawn, anyone? I have to agree with you Janet that this discussion has become to technical for me to follow. However, the subject matter is of very great importance as it is everybody’s health and wellbeing that is at stake. If the advice we are being given to eat margarine, veg oil and starchy carbohydrates and to drastically reduce the saturated fat in our diet is wrong and is actually causing great harm to everyone’s health then that is something that really should be addressed. Personally from my own reading and research as well as personal experience of the benefits I am convinced that a diet high in fats such as butter and coconut oil and very low in carbohydrates is healthy. I don’t eat bread but I still consume lots and lots of butter. I have it in my morning coffee, I use it for frying eggs and bacon and I also coat my veggies in butter and roast them in the oven. I have lost weight, I no longer suffer from hypoglycemia if I go more than a few hours without eating, I have more energy, my blood pressure, cholesterol levels and triglycerides are all perfect. I feel fitter and healthier now aged 43, than I did twenty years ago when I ate a vegetarian diet high in carbs and seed oils. I take the view that if life expectancy in countries with higher saturated fat consumption is no lower than ours, then its effect is small. I’ll start worrying when the French and Austrians start keeling over in their sixties. I have rediscovered the fat my mother used, donkeys years ago – beef dripping. It has a high smoke point and therefore suitable for stir frying. It also imparts a lovely flavour and it doesn’t ‘go off.’ Sweet potato chips….bring ‘ em on. Thanks Janet B. We do salmon skin dripping. Beef not really unless its really fatty steak! It says a lot that he had the opportunity to discuss the scientific evidence here but instead chose to run and hide. Leave a Reply to Owen Click here to cancel reply.